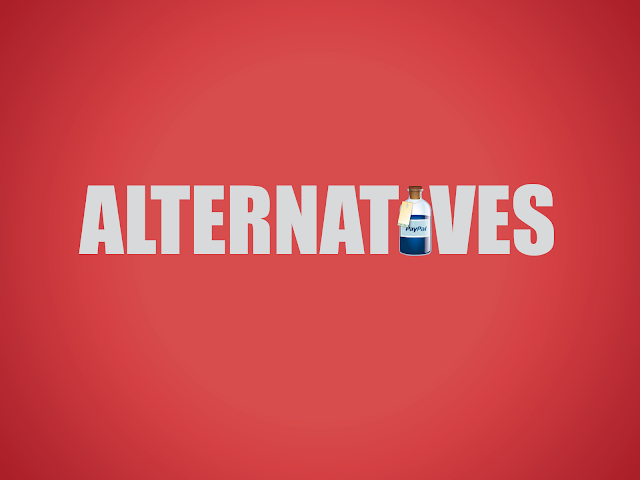 Wondering about paypal alternatives? Are there any better online payment services? There are plenty of paypal competitors available for accepting credit cards and online payment. We have a round up of best PayPal alternatives for merchants to setup up their own online e-commerce business. PayPal has emerged as an industry standard in today’s internet connected world for processing online payments. However, not all are comfortable with PayPal due to their varied personal reasons. Some try to implement their own As such, the main reason why people fear PayPal today is because PayPal is not considered a bank in the United States and does not need to adhere to federal banking regulations. In fact, there are definite benefits of using a traditional merchant account over PayPal for many reasons whereas others are looking for more options. PayPal is a secure online service that helps send money, and receive payments. The key reason for PayPal adoption is it can complete a transaction without revealing your financial details to other party. The technology behind PayPal works on simple idea. It uses email address of person involved in transaction to make or receive payments. Each person can configure a PayPal account using a email address and link it to a bank account or credit card. Once the initial setup of linking accounts is done all work is done using email address. PayPal is world leader in online payments and adopted by most online sellers. It can easily integrate with any website, technology and platform. PayPal uses strong encryption software to secure transaction information. As such, the main reason why people fear PayPal today is because PayPal is not considered a bank in the United States and does not need to adhere to federal banking regulations. In fact, there are definite benefits of using a traditional merchant account over PayPal for many reasons. One of the prime reasons is that in case of a traditional merchant account, your money gets deposited directly in your bank account and not a PayPal account. Therefore, you get more control over your money as well as business and your money is projected by federal banking regulations in case of a merchant account. For individuals who feel that they need an alternative to PayPal, here are best Alternatives to PayPal for going ahead with their online payments. Read on...! WebPay is arguable the best free alternative to PayPal for customers, however its also a good option for merchants. It provides online payment service using email address at no cost. It also supports payment via text message using mobile phone. You can use a credit card or a bank account to make payments. customer service team, WePay’s focus is to make your website more professional and focus on the individual’s interests rather than just base economic interests. • No set up, monthly or hidden fees. • While also reducing the scope of their PCI compliance. robust shopping cart, as well as recurrent billing. Skype, eBay, and oDesk. It is easy to use and also allows you to transfer an account balance onto a prepaid debit card almost immediately. Google Wallet, which was formerly known as Google Checkout, is another global and good online payment online system. Although it does not have all the features of PayPal, it does a good job for personal as well as business payments. At the time of writing this article, it does not cost you to send money directly from your bank account or from your Google Wallet balance. • $ 500 limit per 30 days for uploading money to your Wallet Balance with a credit/debit card. Although Payoneer is very similar to other international services, its USP is that you get a virtual U.S. bank account with it. Despite higher fees, it has become popular and many sites accept it along with some of the best marketing networks. Formerly popular as AlertPay, PayZA’s is available in more than 190 countries. Generally offering low fees along with some free services, it is not so popular compared to other PayPal alternatives, but it is still accepted by many websites. This payment is recommended for large, single item transactions as this is an escrow service. Using this service significantly reduces the potential risk of fraud, as it acts as a trusted third party. The company collects the purchase funds and releases them only after both the parties have agreed that the transaction has been completed to their satisfaction. This service is not really recommended for high volume transactions, but for services involving high ticket transactions, such as a car or a website. This service provides a compatible credit card processing service for US as well as international sellers. Being over ten years in the industry, it is a well known provider of online payment processing solutions. The company works on a no setup/no cancellation fees approach and their transaction fees are lower compared to PayPal. • Most people ready to accept credit cards the same day. • Only compatible with eBay for US Bay users. However, international merchants can still use the service to accept all major cards outside of eBAY. Via this provider, merchants can accept payments without a payment gateway. It is the latest innovation for small and medium scale merchants who need to take payments on the go. • Multiple products – single account and view. This is a quick payment network that is light on fees. You can make transfers from bank account to bank account through 1 – 2 business days, for which a flat 50 cent fee is charged. It can be linked to QuickBooks, so that customers can pay from your QuickBooks Invoice. • Most payments deposited next day. • Automatic payments from payor's bank to receiver's bank. • No setup or monthly fees, and no cancellation fees. Square is pioneer in iPhone and iPad based payments, however its also a really good alternative for merchants that want to quickly start accepting payment with a flair. The setup is absolutely easy and payments can be easily accepted on any iOS or Android device. Dwolla offers a payment system that can be used to make payments online easily. They have a simple payment policy and easy to integrate. Kathy Kim is working with web, software and mobile application development company Fusion Informatics as a software developer. She is exploring their experience through informative article with others.